Alisson Becker knows how to win at Stadio San Paolo. But Liverpool’s goalkeeper is also well aware of the difficulties involved in doing so. Back in March, Alisson was part of an AS Roma side that defeated Napoli on their own turf in Serie A and, on Wednesday, he returns as a Liverpool player in the Champions League. Different team, different time, different competition. Same outcome? Since his last visit to Naples, Alisson has played in Champions League quarter and semi-finals, represented his country at the World Cup and sealed a high-profile transfer to Anfield. That, then, the finer details of a 4-2 win at the San Paolo seven months ago remain instantly-accessible in the Brazilian’s mind is perhaps indicative of the scale of the Reds’ task this week. “They had 24 attempts on goal, 13 on target. 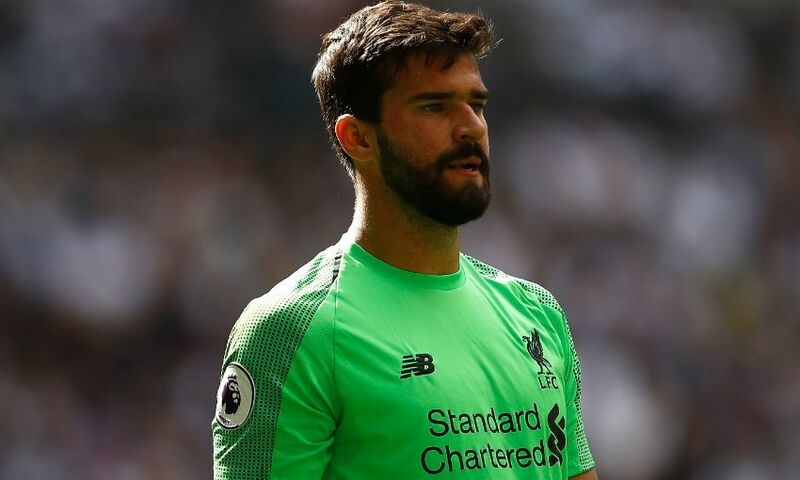 I made 11 saves and conceded two goals,” Alisson told Liverpoolfc.com. “It’s always tough playing away against a great club. In Napoli, we’ll definitely find really passionate fans, and a team that comes onto the pitch with a huge desire to win. The last and only time I played there, we happily got a win, but it was one of the games I had to work hardest in during the season. “It was one of the toughest games of the season for us in Serie A, so it’s definitely going to be a tough game. They’ve had the same basis of the team for three to four years. Eleven saves and three points. Little wonder, then, that while acknowledging the toughness of Wednesday’s assignment, Alisson also speaks of ‘good memories’ of the San Paolo. “I’ve only played once there, the season before that I was on the bench - I think we lost, I can’t remember! But actually playing there, just good memories, a victory,” the ‘keeper, who turns 26 on Tuesday, said with a smile. Liverpool travel to Italy atop of Champions League Group C having beaten Paris Saint-Germain 3-2 at Anfield on matchday one a fortnight ago. And Alisson thinks the manner of that victory - sealed by Roberto Firmino in injury time after PSG had fought back from 2-0 down to equalise - illustrates the fortitude and spirit of togetherness within Jürgen Klopp’s squad. “We’re confident in our potential. To beat a great team like PSG fills you with confidence, but it’ll be a different game so we have to look at it differently as well, bringing our desire onto the pitch, doing everything that we’ve been doing up until now at the start of the season,” he continued.